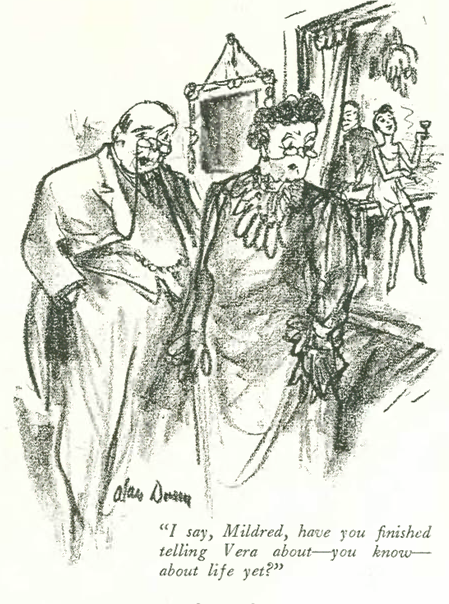 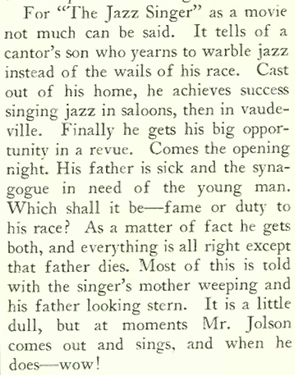 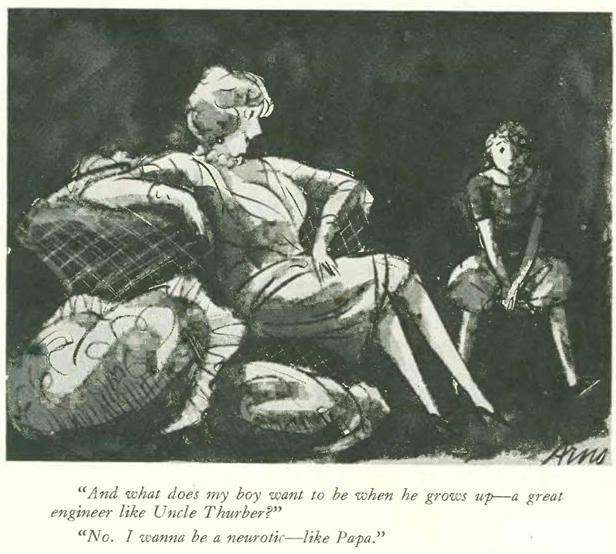 Two big voices from the famed Algonquin Round Table were prominently featured in the Oct. 1 and Oct. 8, 1927 issues of the New Yorker–journalist and champion of the underdog Heywood Broun wrote his own “Profile” under the title, “The Rabbit That Bit the Bulldog,” and Dorothy Parker served up biting satire in “Arrangement in Black and White,” a clever exposé of racism among the fashionably “open-minded” upper classes. 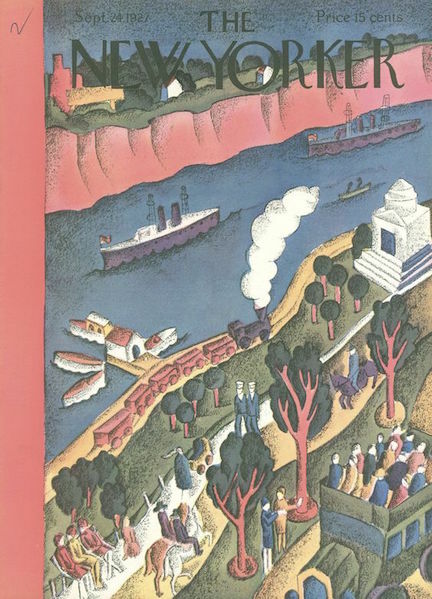 October 1, 1927 cover by Gardner Rea. 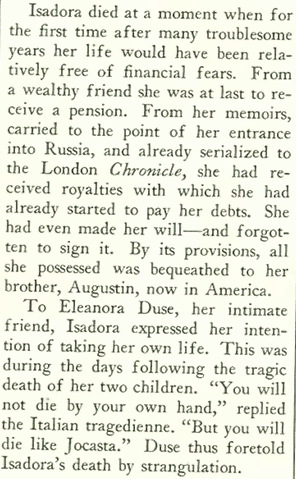 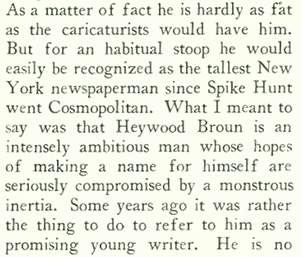 Hiding under the signature “R.A.”, Heywood Broun was merciless as his own profiler, describing himself as a coward, hypochondriac, and a slob (there is truth to the latter, however, as friends often likened him to “an unmade bed”). 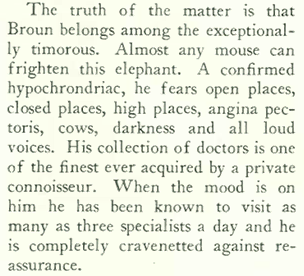 Broun cut his teeth in journalism as a sportswriter and war correspondent. 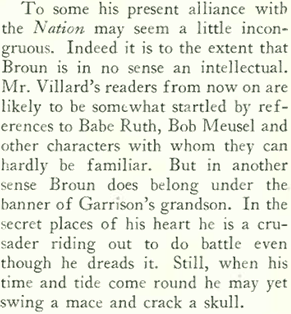 In 1921 he went to work for the New York World, where he penned his popular syndicated column “It Seems to Me.” Broun’s New Yorker “Profile” was written after he was fired from the World following a disagreement with his editor over his critical commentary on the sentencing of anarchists Sacco and Vanzetti. 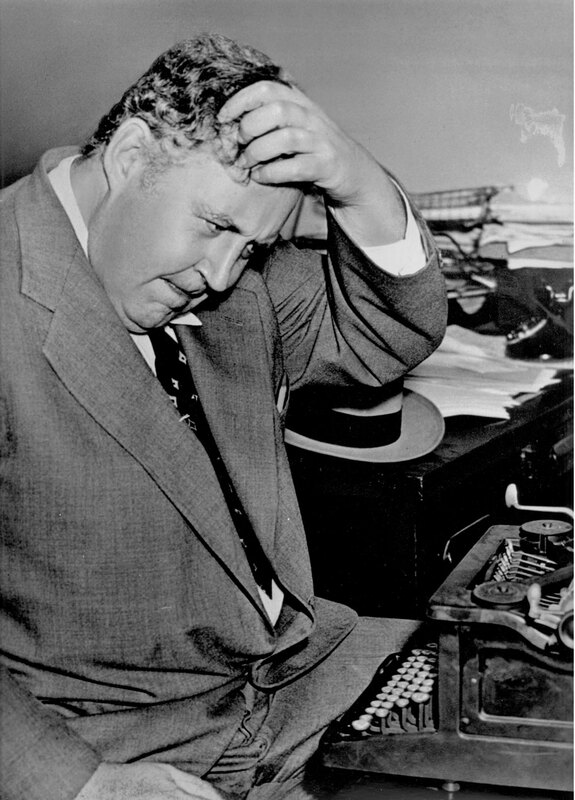 Broun would move on to The Nation, where he would write a regular column, “It Seems to Heywood Broun,” that would offer criticism on a number of topics including his former employer, the World. 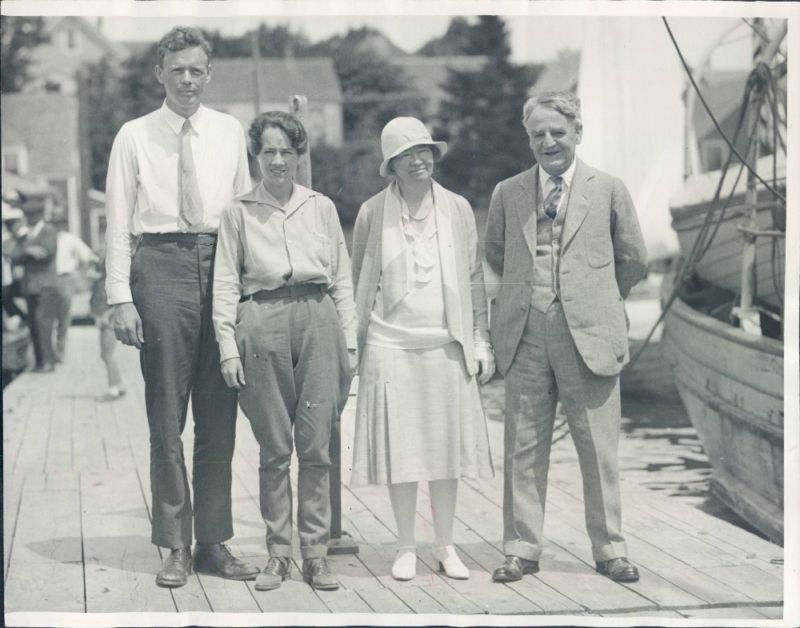 Broun married social activist Ruth Hale in 1917. 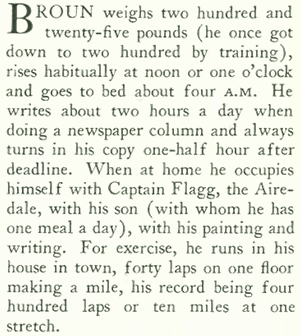 A son born the following year, Heywood Hale Broun, would have a long and successful career as an author, sportswriter, commentator and actor. 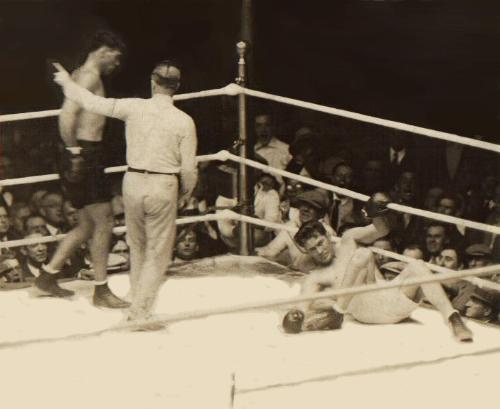 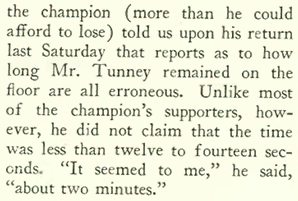 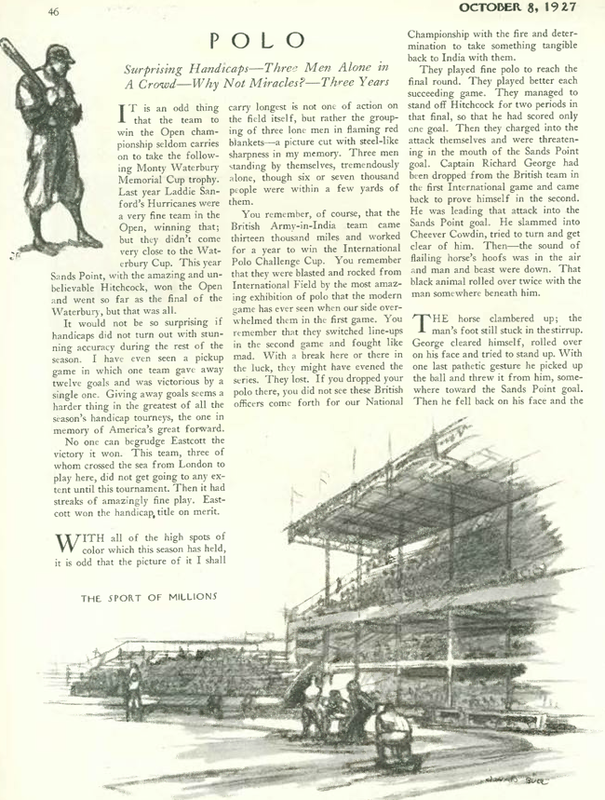 Oddly, the New Yorker had little to say about the famous Chicago rematch between heavyweight boxers Gene Tunney and Jack Dempsey, which Tunney won after the controversial “long count.” The fight took place under new rules that gave a fallen fighter 10 seconds to rise to his feet, but the count would not begin until his opponent moved to a neutral corner. 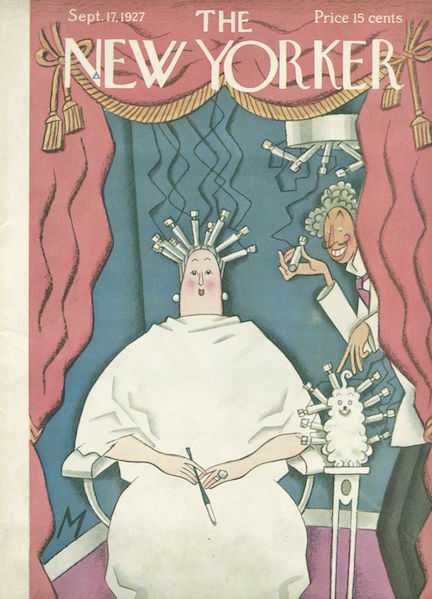 October 8, 1927 cover by Rea Irvin. 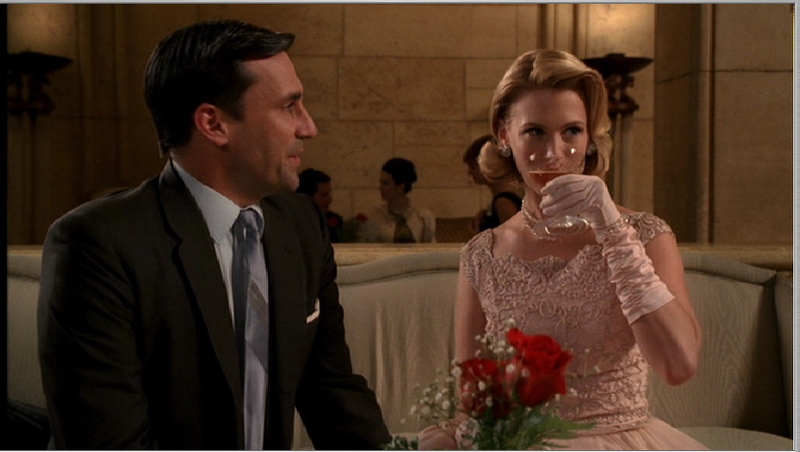 Parker began her piece by introducing us to a woman who enters a party wearing a wreath of “pink velvet poppies” in her golden hair. 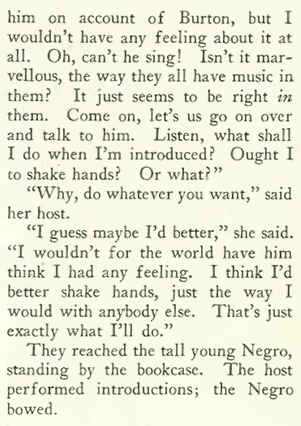 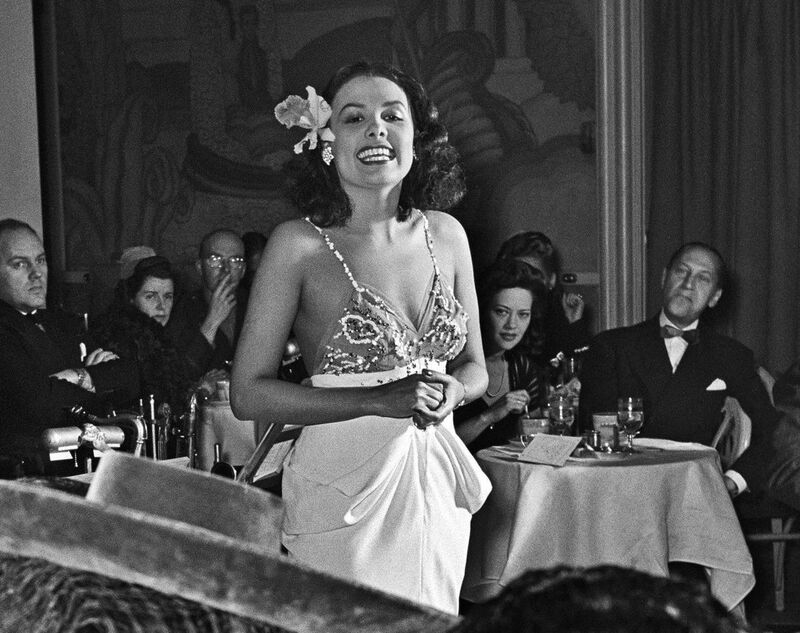 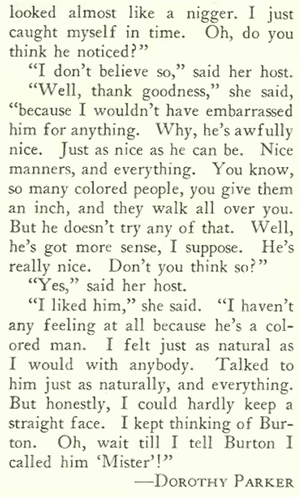 In short order she asks the party’s host to “pretty please” introduce her to the party’s guest of honor, an African American singer named Walter Williams. 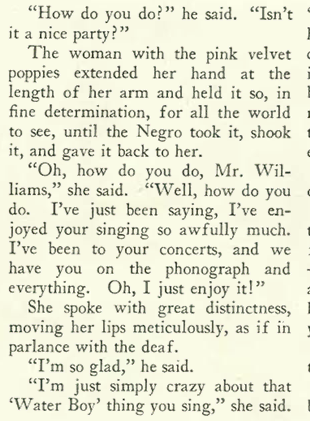 The woman with the pink velvet poppies meets the singer Walter Williams, as illustrated by Peter Arno. 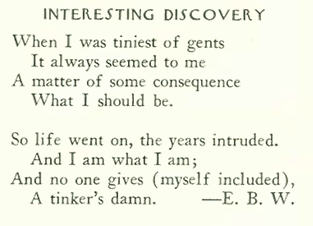 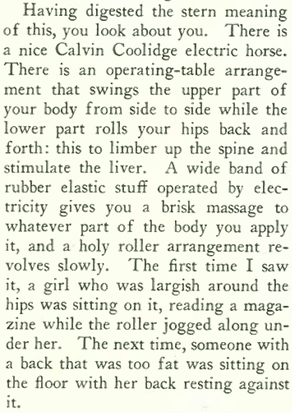 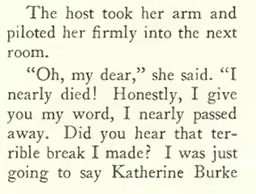 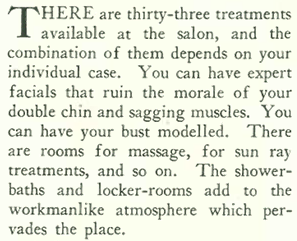 BITING WIT…Dorothy Parker in the 1920s. 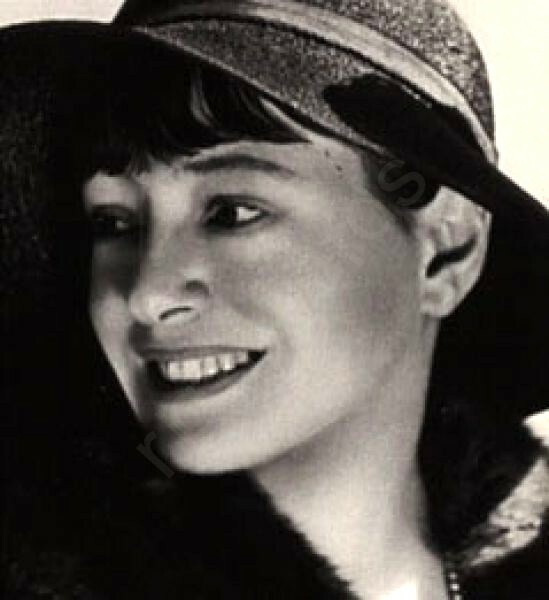 We will see more of Dorothy Parker in issues to come as she continues to take aim at the hollow, pretentious, hypocritical, self-absorbed snobs of the Jazz Age and beyond. 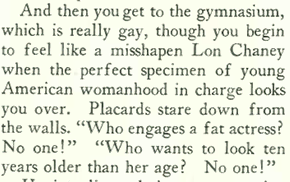 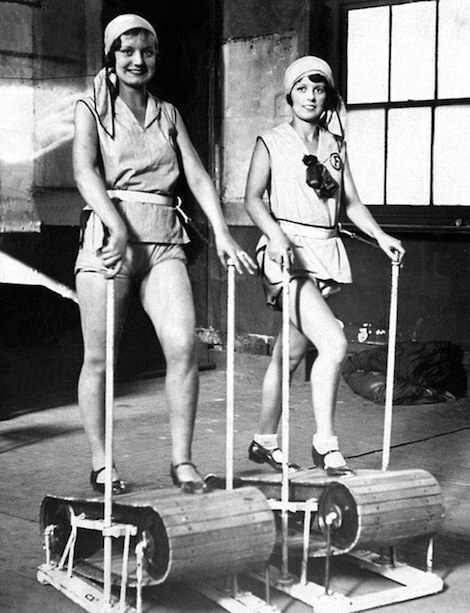 Lois Long stepped off her fashion beat to check out a new fitness salon on East 49th Street that used a combination of spa treatments, exercise and body shaming to get women into shape. 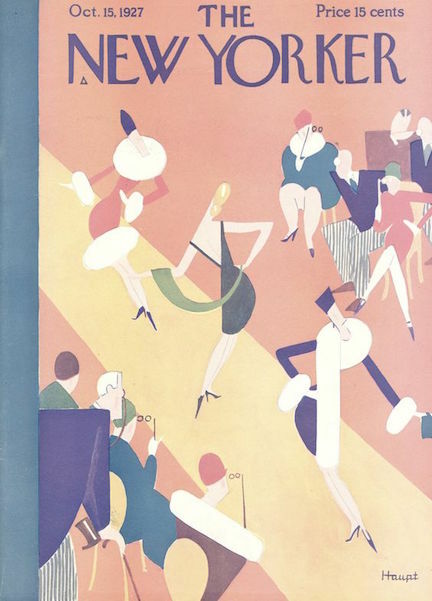 September 24, 1927 cover by Ilonka Karasz. 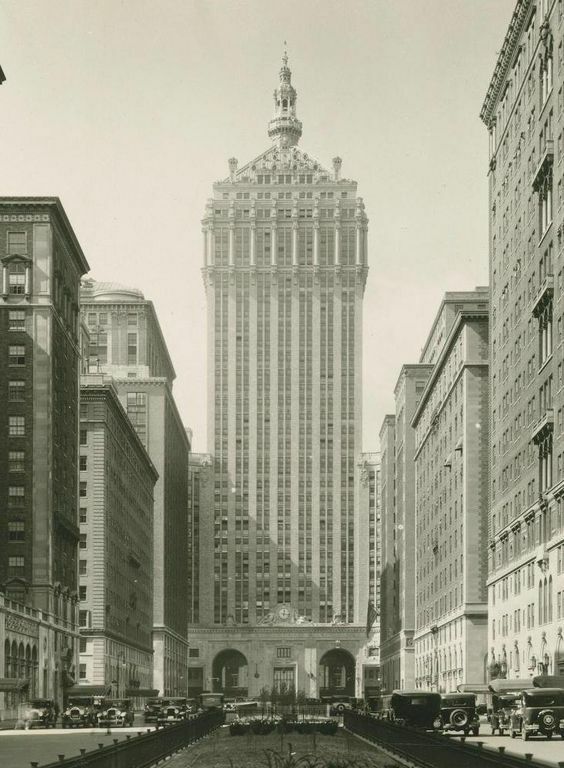 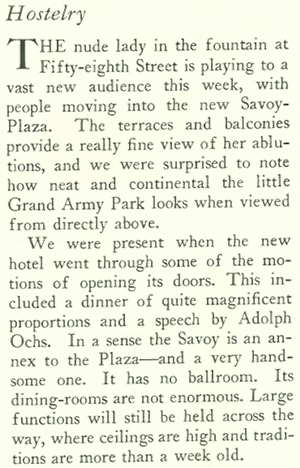 The New Yorker bid farewell to yet another familiar landmark, the old Van Buren Place at No. 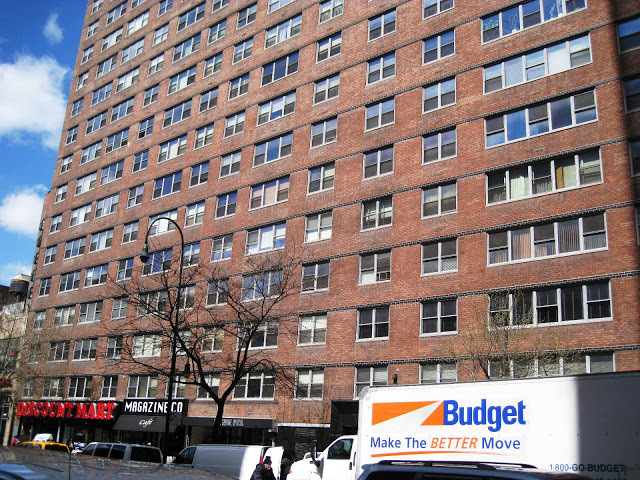 21 West 14th Street. 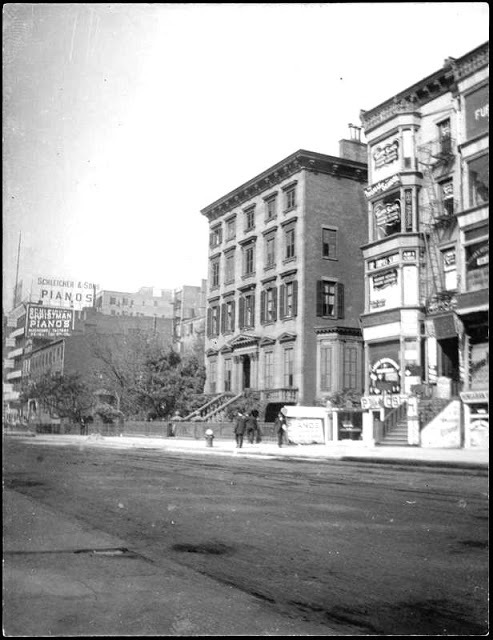 Four stories high and five bays wide, the 1845 mansion was considered the height of early Victorian taste. 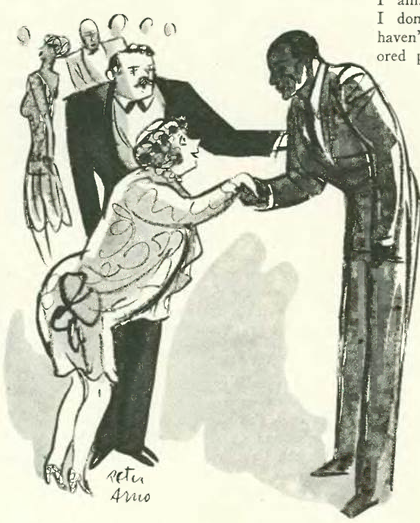 Santa decaffeinated coffee was first marketed in the U.S. in 1923, but was only sold at two Sanka coffee houses in New York. 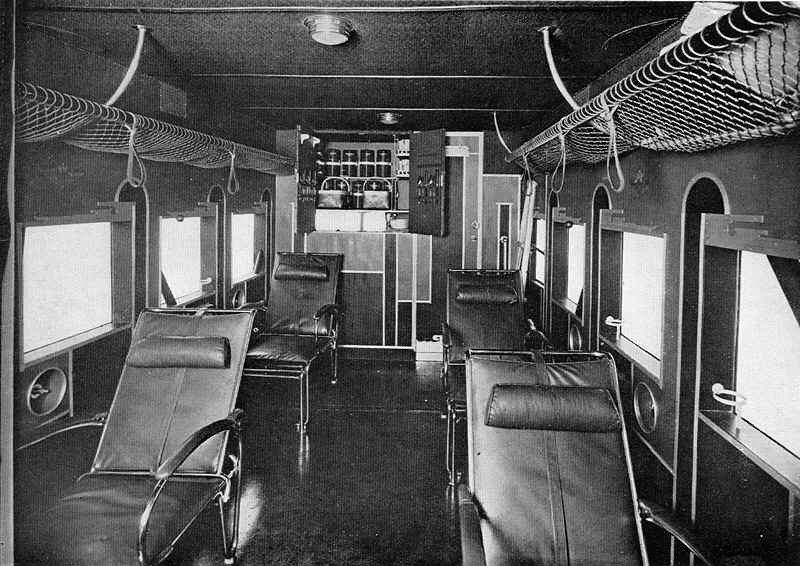 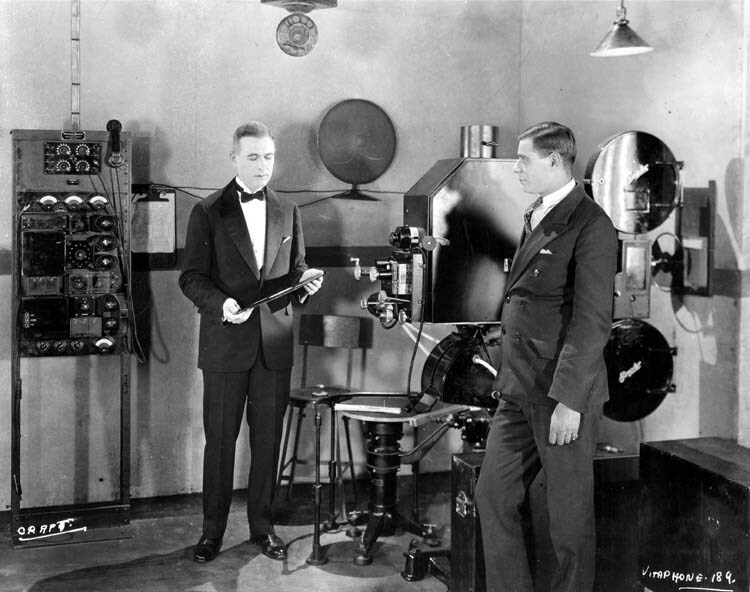 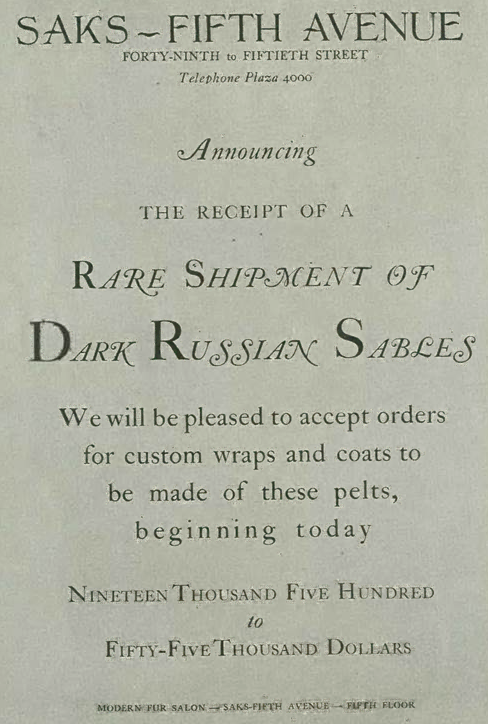 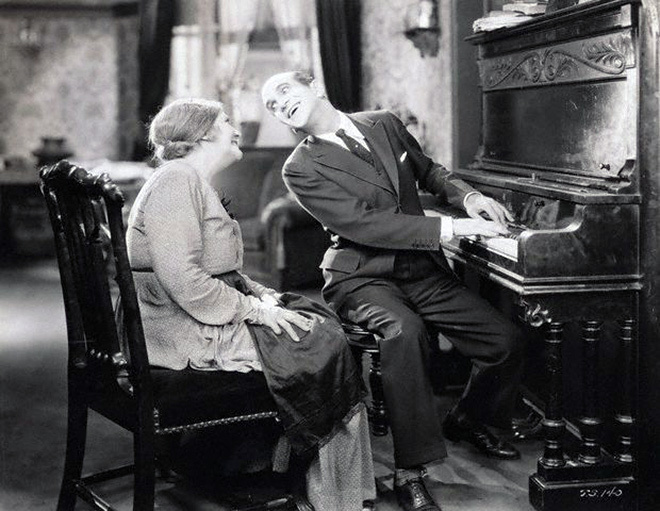 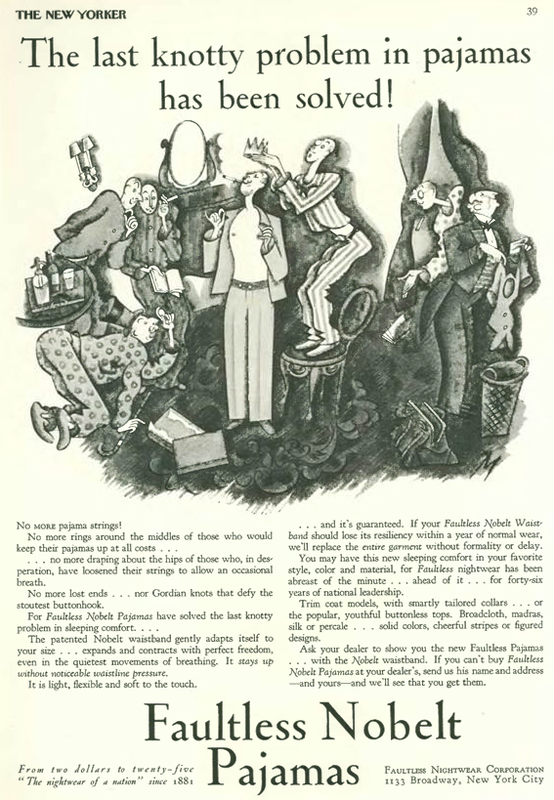 The company made a big retail push in 1927, including sponsored broadcasts under various titles including the Sanka After-Dinner Hour on WEAF radio in New York. 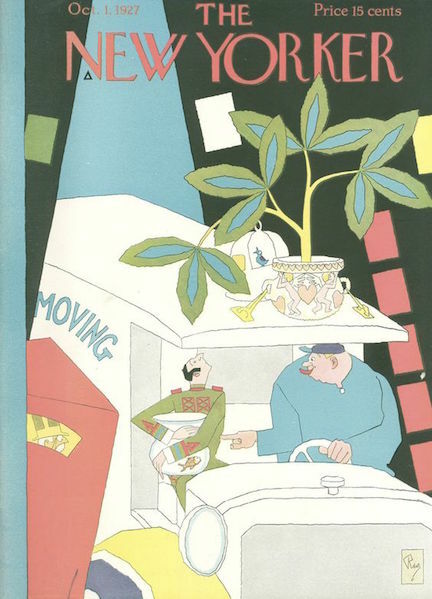 At least until the 1980s if you wanted a decaffeinated coffee you simply ordered a “Sanka.” According to a Wikipedia entry, the bright orange color of the Sanka can was so easily identifiable to consumers that even today a restaurant’s decaf coffee pot might sport a bright orange handle–the direct result of the public’s association of the color orange with Sanka, no matter which brand of coffee is actually served. 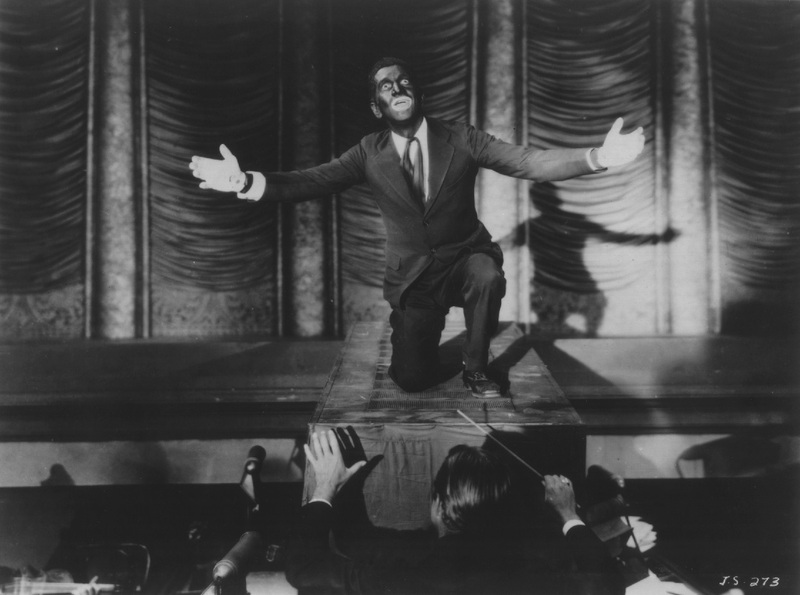 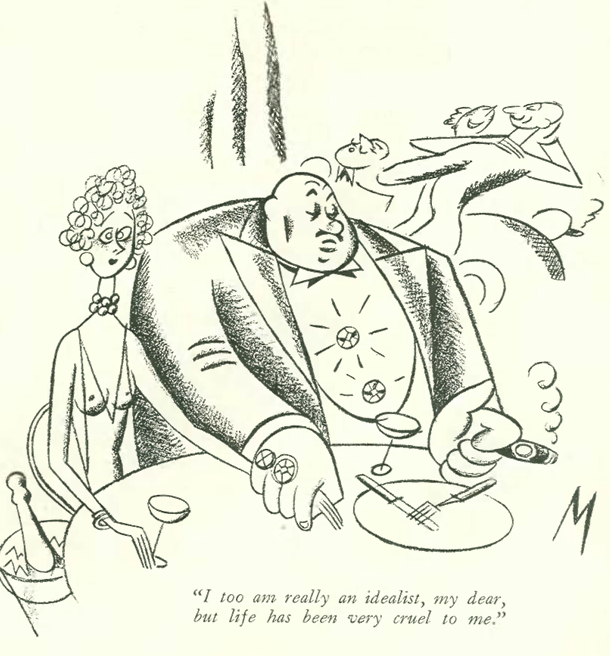 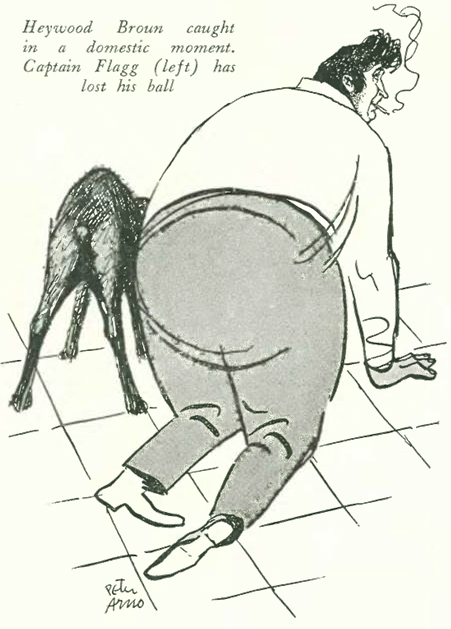 We’ve looked at a number of artists and writers who were instrumental in giving the New Yorker its unique look and voice, but few were more influential than James Thurber, who contributed some of the New Yorker’s most memorable writings (“The Secret Life of Walter Mitty”) as well as some of its most enduring cartoons and illustrations. 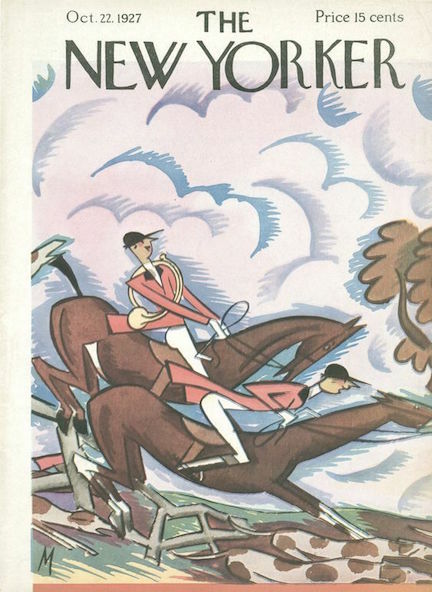 September 17, 1927 cover by Julian de Miskey. 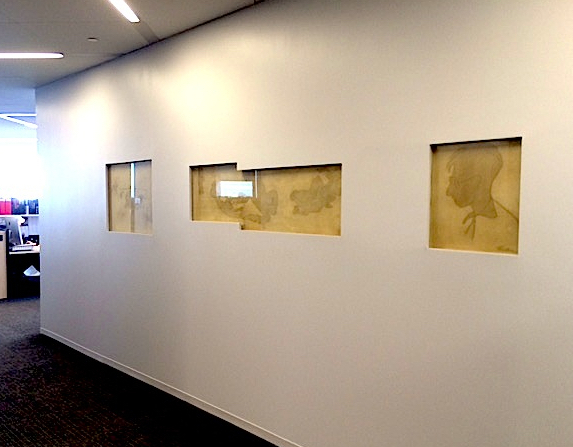 In 1991, when the New Yorker prepared to leave its longtime home at 25 West 43rd Street (where Thurber originally doodled on a plaster wall), conservators carved several drawings from the wall and mounted them in protective glass. 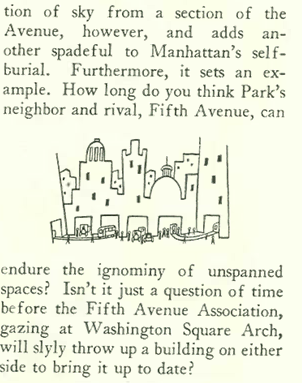 The drawings were eventually installed at the magazine’s new offices across the street at 20 West 43rd St. 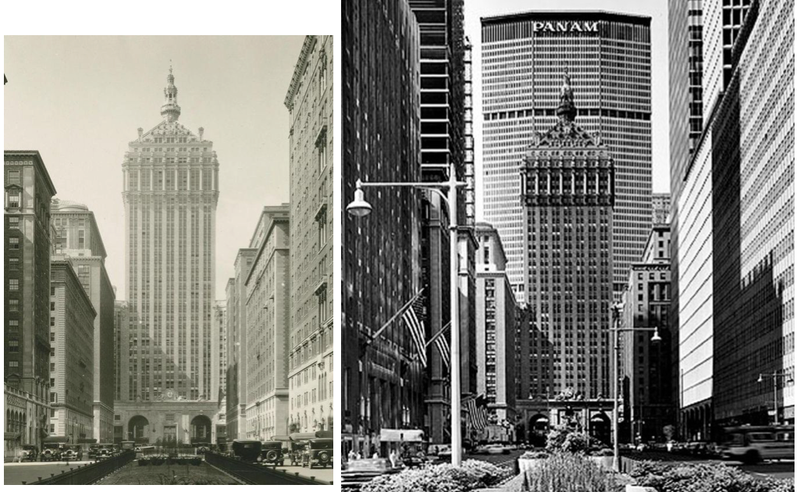 They were moved again when the New Yorker relocated to 4 Times Square in 1999 and then once more in 2015 to their current location at One World Trade Center. 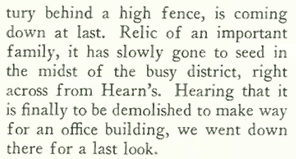 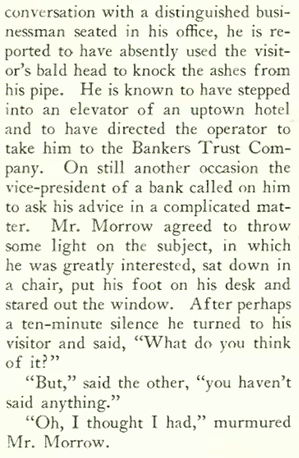 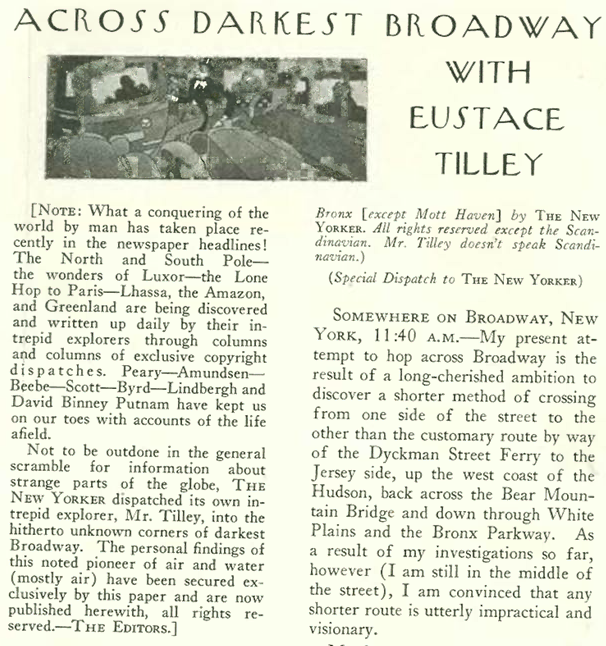 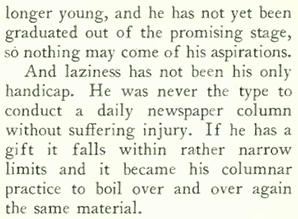 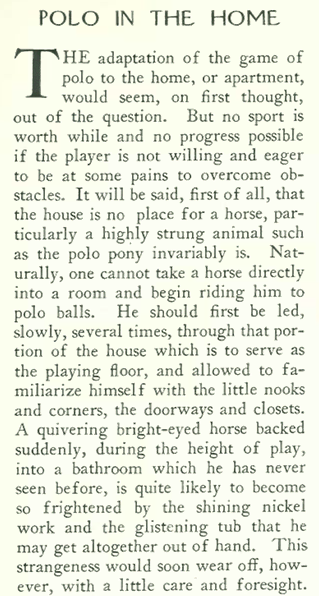 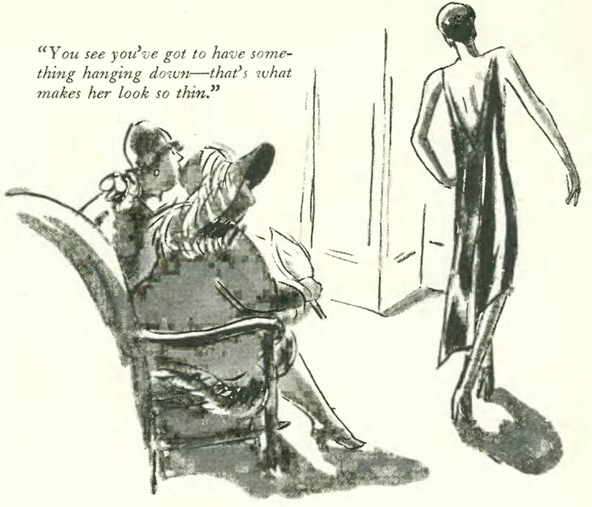 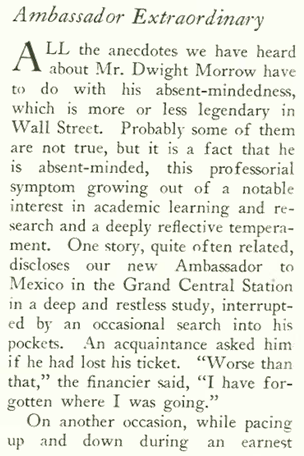 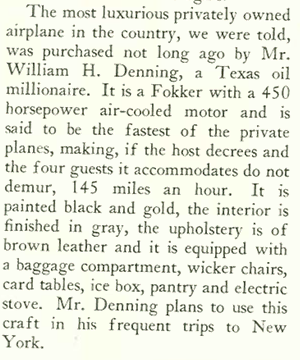 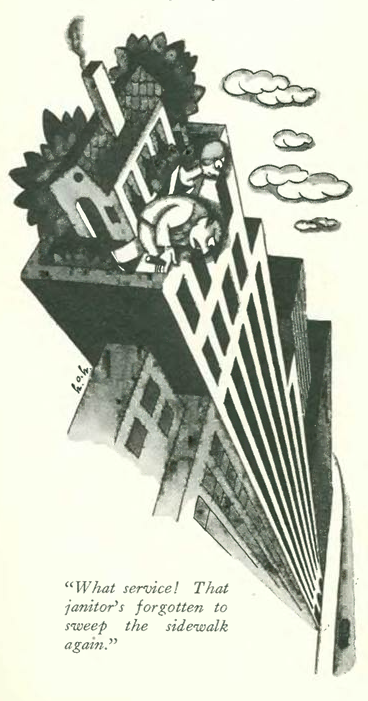 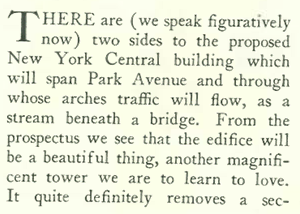 Thurber joined the New Yorker staff in 1927, sharing an office “the size of a hall bedroom” with E. B. 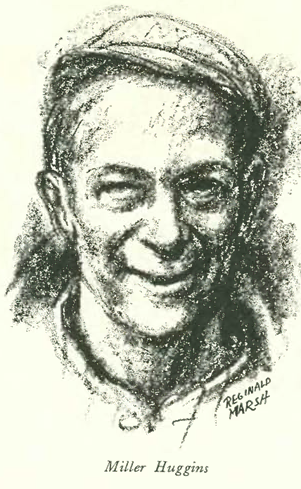 White, who had joined the magazine about a year earlier. 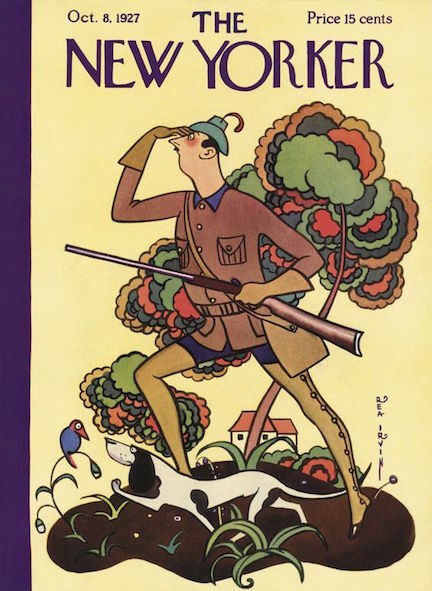 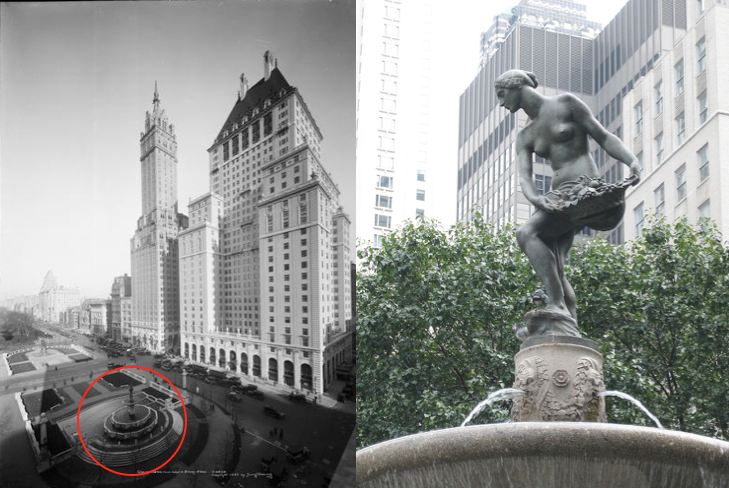 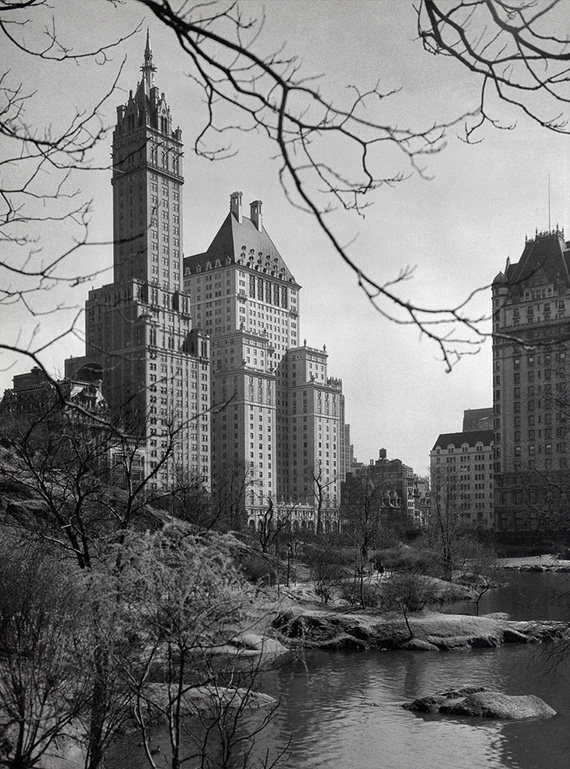 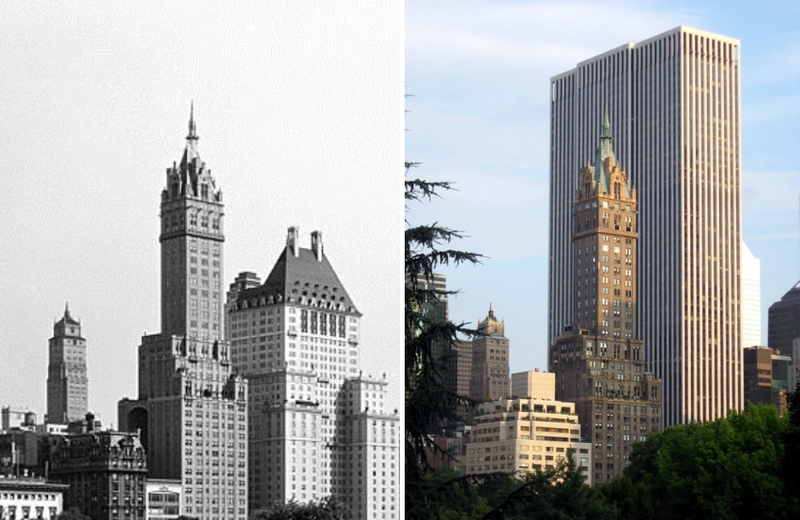 According to Jon Michaud (in a June 2, 2010 New Yorker article), Thurber arrived at The New Yorker from Columbus, Ohio, via Paris, France, and a brief stint at the New York Evening Post. 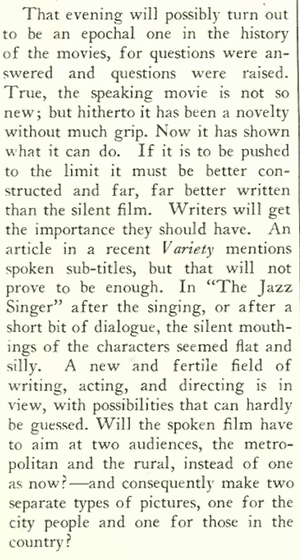 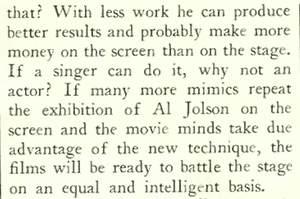 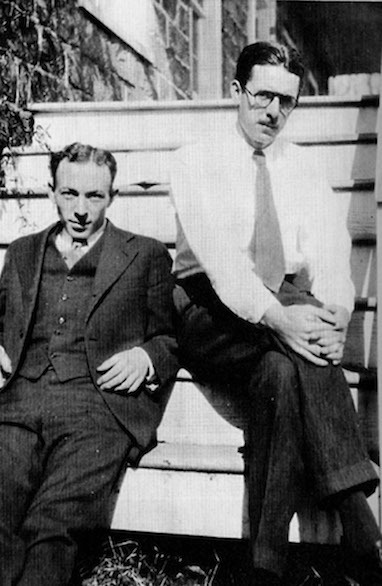 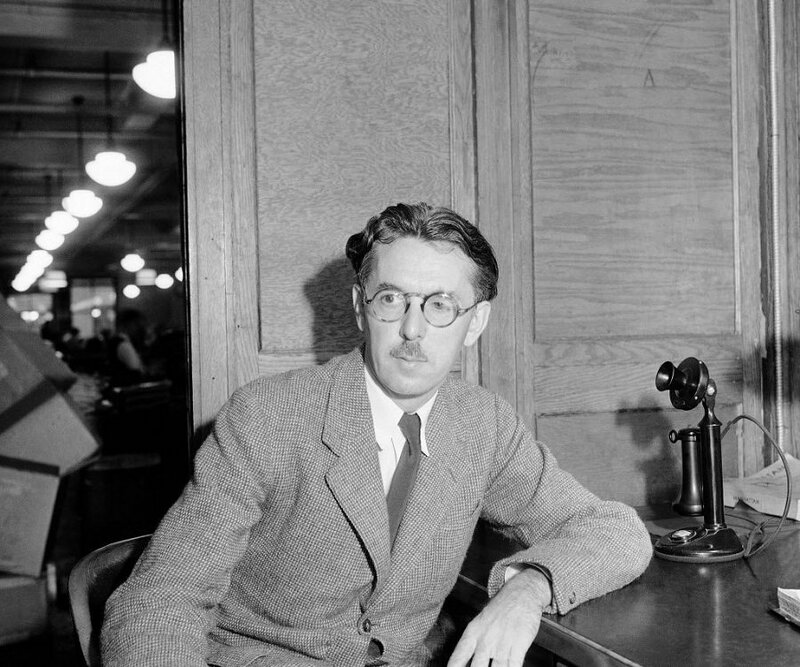 “Six months after he was hired, Thurber was transferred to the ‘Talk of the Town,’ where he found his feet as a reporter and did for that department what White did for ‘Notes and Comment’—he gave it an identity and a tone, which can still be heard in the magazine today.” This included introducing the convention of using the first person plural in “Talk” items. 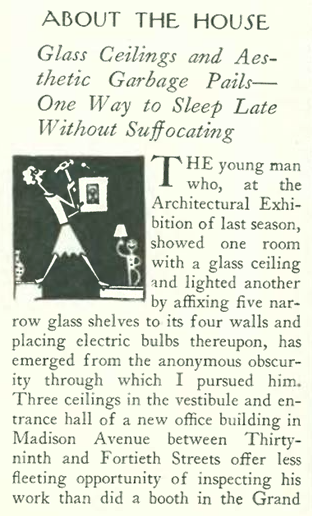 Writing in her “About the House” column, Muriel Draper examined new uses for glass in modern design and concluded that houses built of glass rather than stone belonged to a distant future. 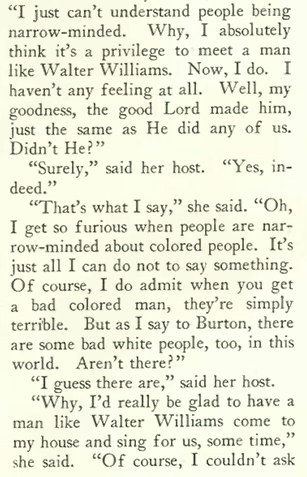 Well, Muriel was almost right. 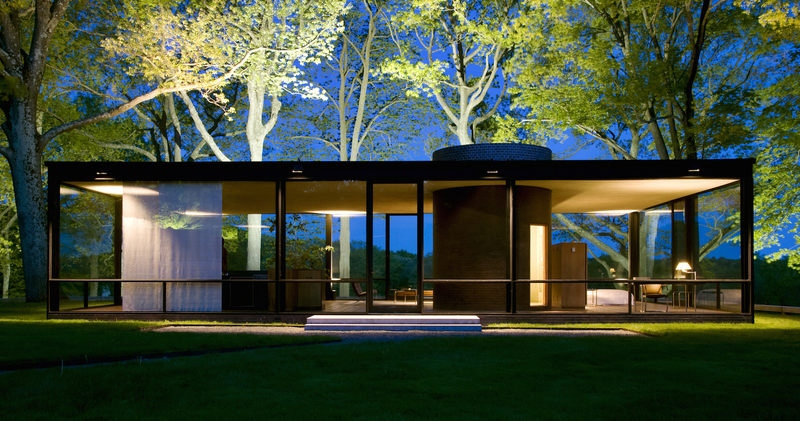 Philip Johnson built his famous Glass House in New Canaan, Connecticut, in 1949. 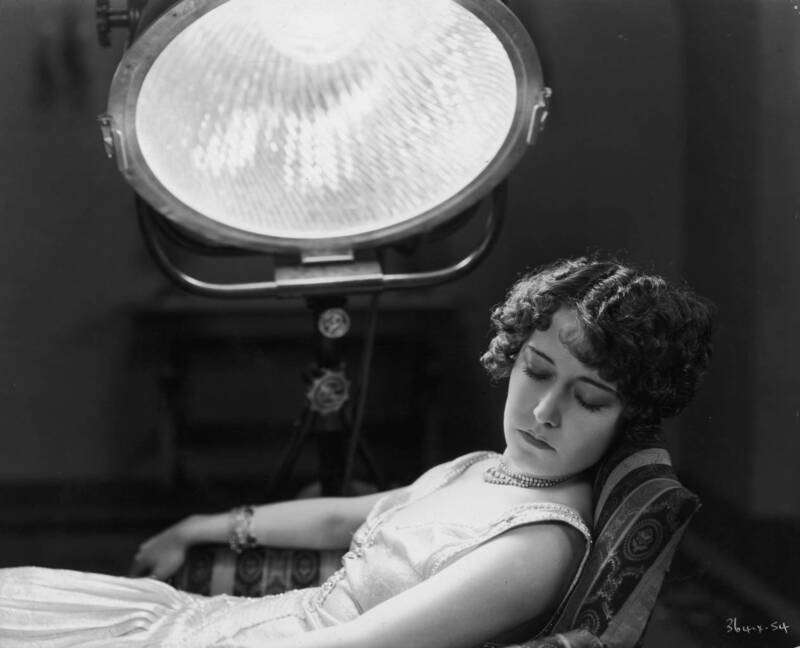 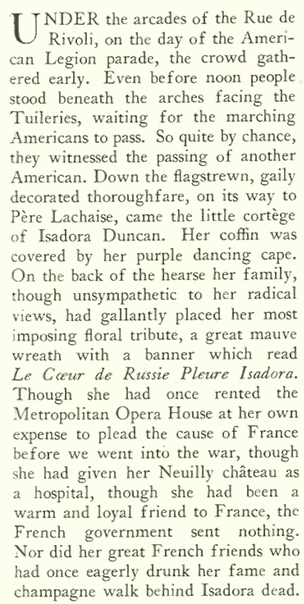 Muriel Draper died in 1952. 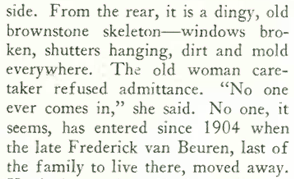 I assume she visited the house or at least knew of it, since she and Johnson were in New York social orbits that often aligned, especially around the Harvard modernists. 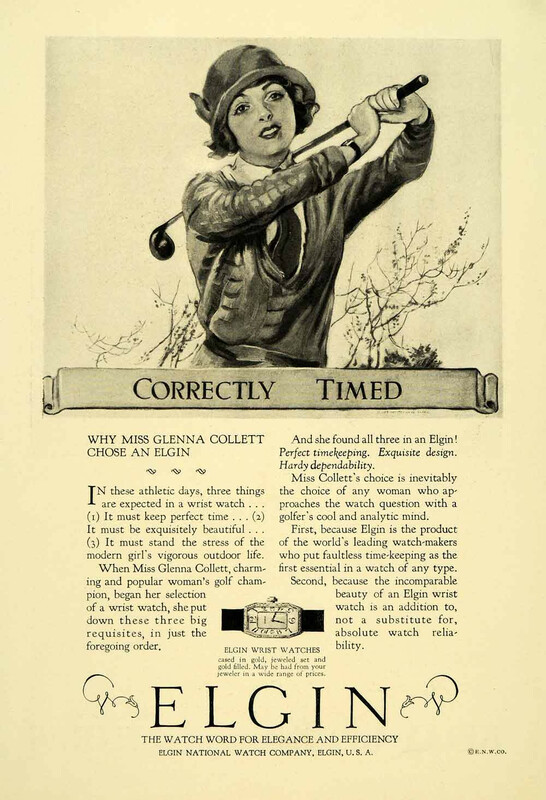 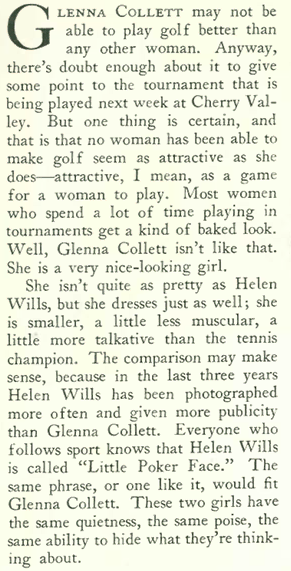 On the topic of physical appearance, it is interesting compare the above photograph of Collett with a rendering used in this 1925 Elgin watch ad (from another magazine). 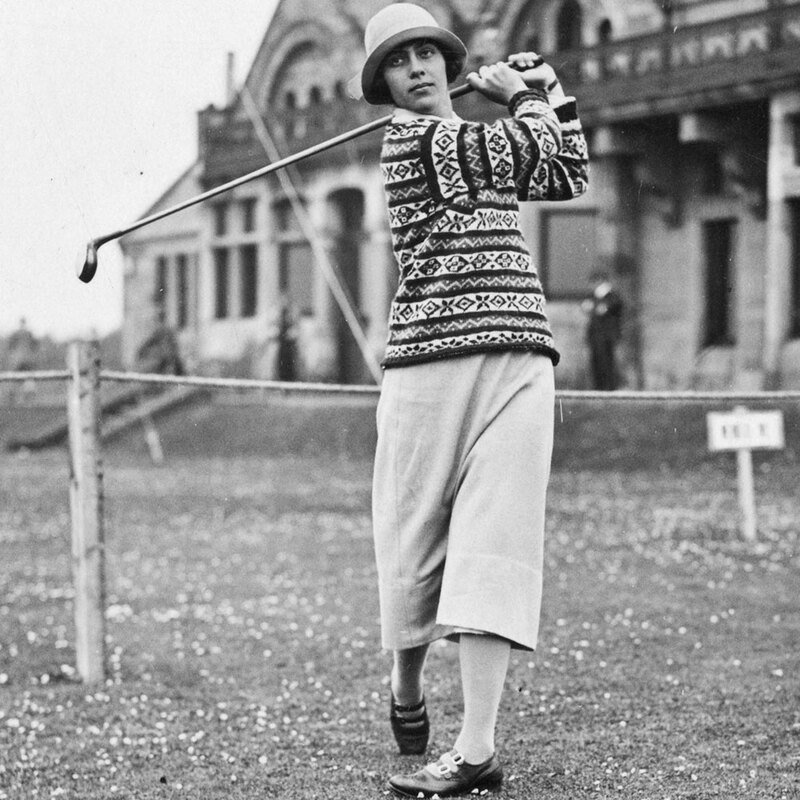 It looks nothing like Collett, not to mention the golf club she is holding would barely reach her knees let alone the ground.